The Scottish witch-hunt in context, ed. Julian Goodare, Manchester University Press, Manchester and New York, 2002: 14.99 paperback. This welcome collection of twelve essays establishes the reputations of newer scholars and confirms those of more established experts, by placing the phenomenon of Scottish witchcraft in a variety of contexts, both familiar and somewhat more controversial. The authors’ expertise in the areas of folklore, paganism, state history, anthropology, and religious beliefs are employed to re-examine the theories of Christina Larner, Alan Macfarlane and Keith Thomas, dominant for so long in the historiography of witchcraft. Whilst few areas of witchcraft studies have escaped deconstruction over the past few decades, Scotland has remained relatively untouched by revisionists. The work of Christina Larner has dominated the subject for the last few decades, but this volume pays tribute to her work (indeed it is dedicated to her), whilst at the same time challenging some of her hypotheses and bringing the subject up-to-date. This volume presents new interpretations of the witch-hunts based on close reading of Scottish pamphlets, court material, trials, and other literature. There are confluent themes within the collection, which include the role of James I and VI, the five major panics of 1590-1, 1597, 1628-30, 1649, and 1661-2, the elite versus popular culture debate, and the gender issue, which have been given rather more controversial treatment here. 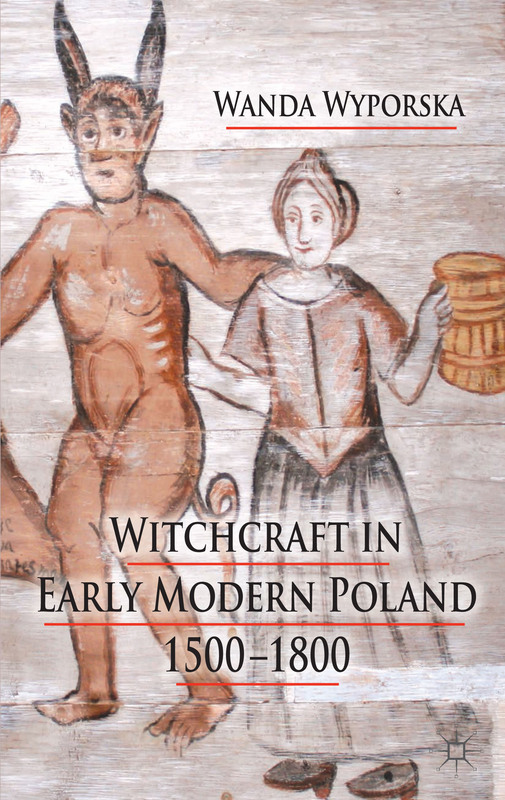 In the introduction Julian Goodare gently guides the reader through recent trends in witchcraft historiography, providing enough background to render a good context for the reader uninitiated into the finer points of the discourse of witchcraft studies. He directs the reader gently towards common themes; the national character of the Scottish trials, the relative lack of pamphlet material available, the importance of the role of the godly state, and the traditional paradigm of Continental (diabolical, use of torture, and directed by the elite) v English (few mass trials, rare application of torture, resultant from neighbourly quarrels) witchcraft. Ronald Hutton’s essay begins the volume by placing Scotland in a truly global context and paints on a broad anthropological, geographical and chronological canvas. He is of the camp that believes in the importance of the ancient beliefs and their influence on the evolving characterisations of a witch. However, his predominant exegesis in this essay is an interesting comparison of Scotland’s witch-hunt with that of Iceland, where, in virtually the same timescale (1604-1720) similar gender-relations socio-economic conditions prevailed, but where the accused were predominantly men. Hutton explains this difference through the influence of the Finnish (Finnish witches were initially predominantly male) shamanic tradition which influenced Icelandic sagas. James Sharpe, in his essay Witch-hunting and witch historiography: some Anglo-Scottish comparisons, tantalisingly provides an array of similarities and differences between the two phenomena in their historiography. He casts doubt on the traditional opposition of English interpretations of witchcraft based on village fears and peasant problems with that of the Scottish trials which were supposedly the result of power struggles and ideological battles of the elite. He advances some of Larner’s arguments by drawing on the progress made in reconstructing Scotland’s socio-economic conditions in the early modern period. On balance he concludes that there were rather more similarities than expected, especially in the light of the application of recent theoretical frameworks. The editor, Julian Goodare has contributed two essays to this volume, and in the first, The Scottish witchcraft panic of 1597, he tackles a subject, which as he admits, even Larner felt was one of the most difficult, due to lack of evidence. This essay provides a wonderful example of the interpretation of witchcraft trials on the basis of minimal sources. He convincingly deconstructs Jenny Wormald’s argument that James I and VI had adopted a sceptical approach in 1597 and that he wrote Daemonologie, whilst not really believing in what he had set down on paper – an academic debate that will continue. His second essay examines the role of the Scottish state and complements the work which has concentrated on the lower social orders. Given the unique prominence of monarchical involvement in Scotland, it is essential to examine the state’s role, especially since the judicial procedure was interdependent on both centrally appointed commissions and local councils. What is interesting from the Scottish perspective is the close involvement of local witch-hunters, who having located their quarry, could become judges on the subsequent commission. At first glance, Macfarlane’s paradigm of the poor, socially inferior witch is turned on its head by Louise Yeoman’s examination of sixteen rich or noble witches. However, that statistic in itself rather proves Macfarlane’s point. In a sense these cases reveal more about the mechanisms of witchcraft accusations and the accusers, than cases involving those of a lower social standing. The parties involved are more likely to have been literate and have had the details of their dispute noted. In these cases gender plays an essential role, as the accusations appear to have been fuelled by a desire to deprive the so-called witches of their property. Her assessment of the functional aspect of witchcraft sees males in a socially unacceptable situation (some in debt for example), trying to escape the consequences by finding an external factor to blame for their misfortune. Yeoman suggests that these male accusers were, as Lyndal Roper has written, indulging in an autofantasy, placing themselves at the centre of an enfolding drama under their own direction. Masking their inadequacy, they became the heroic protagonists in the struggle against a witch. Joyce Miller’s lively essay takes us to the periphery of practices regarded as witchcraft, as she examines the folk-healing aspects of witchcraft practices in Scotland. The delicate boundaries between definitions of witchcraft, superstition and charming are explored within the context of self-labelling, a luxury in which the charmer, unlike the witch, was able to indulge. Strikingly, as late as 1645, superstitious practices, i.e. ritual washing, use of tethers, locating stolen goods, divination, and ascribing powers to animals and numbers were still regarded as superstition rather than criminal acts of witchcraft. Miller argues that if there was a belief in the other worlds of heaven and hell, then there could also be a fairy realm. She concludes that in the context of witchcraft, charming came to be regarded as mainstream, and was one of the aspects of the witchcraft phenomenon that survived the longest. The breadth of this volume means that as well as examining witchcraft from the perspective of the monarch, state and legislature, we also gain an insight into communities and individuals. In The devil and the domestic: witchcraft, quarrels and women’s work in Scotland, Lauren Martin resets the context of the witch-hunt within the household and examines the gender aspect of the Scottish trials. She assesses the dual problem of the devil’s relationship with the witch and the witch’s relationship with society as separate constructs, finding them not merely indicative of separate belief systems, but as complementary factors. She considers three prototypes for the demonic pact, bonds of manrent, covenant theology, and the marital contract, and chooses the latter as the most appropriate, on the basis of its heterosexual nature. The pact with the devil is interpreted as a betrayal of the domestic realm and a subversion of the civil contract of marriage. As often with attempts to assess gender implications, male witches pose a problem. A homosexual relationship with the devil is rarely mentioned, and only occasionally does the male witch have relationships with a female spirit or a female witch, who is generally a mediator figure. Martin sees the household as the locus of the problem, where at local level accusations converged with those of the elite, at the level of the domestic, marriage, household and community. Her sample of material reveals that in 80 percent of the cases, quarrels were a factor, and in 53 percent misfortune was suffered after a dispute, an element usually absent from cases where men were involved. Martin concludes that quarrels were most common in the area where male and female spheres interacted, revealing a new spin on the feminist viewpoint. The issue of gender tension is shown to encompass fear of women in work, and of their position of power within the household and the community. The essay awakens interest in further areas such as looking at the direct use of accusations of witchcraft within marital conflict, and would perhaps benefit from a linguistic enquiry into the vocabulary and terminology of the pact, if written or confessional evidence of its form survives. The devil is not as omnipresent as certain works have led the reader to believe, and Stuart Macdonald found mention of the devil in only 20 percent of cases in Fife between 1560-1705. This clearly dislocates Scotland, or at least Fife from the traditional Continental pattern of diabolic involvement, and shows a clear concern with maleficia ‘evil deeds’ rather than apostasy. This is confirmed by the magistrates’ concern with denunciations rather than diabolic detail, suggesting that disruption to the community was the main issue. He illustrates how the beliefs and attributes of the devil were intermingled with those of fairies, elves, and other such creatures. The ever-present theme of the godly state is apparent in his conclusion that in such a society only God had the power to heal and harm and for that reason alone the witch was an enemy, there was no need to link her to the devil. Michael Wasser’s discussion of the last major witch-hunt of 1697-1700 locates the persecution in the context of the famines, religious problems and the threat of French invasion. By this time, promises made to the witch-hunters of riches, poor evidence, and obvious abuses of judicial procedures had begun to awaken the consciences of the judiciary. By 1690, he detects a sceptical shift in the mentalities of the politicians, lawyers and clergy who had formerly controlled these events, which contributed to the decline of the witch-hunt. The decline furnishes the subject of Brian P. Levack’s essay, where he explains that this increasing scepticism was directed not against witches as a whole, but that doubts were raised about the guilt of individuals. As we have seen previously, the role of the central powers is crucial, since they supervised procedures closely. He sees the crackdowns on crime as connected to initiatives connected to the godly state, and as these attempts ceased after 1662, it contributed to the decline of the persecution. However, the concept of witches, or supernatural powers in other forms did not die out with the end of the formal prosecution of witches. The final chapter of this volume, The last of the witches? The survival of Scottish witch belief, attempts to bring witchcraft beliefs into a more contemporary context, and highlights the fascination with folklore in the context of the romanticization of ‘primitive’ lands. Scotland was regarded as a wild, backward country where belief in witchcraft was supposedly still alive and well. With this essay the subject is brought as far up to the present as is possible. The only criticisms I have of this volume are slight and obviously exclude the reader familiar with Scotland. The first is the lack of maps, which would have been extremely welcome. The second is that whilst quotation of original text is to be applauded, its quotation in isolation may cause problems for the reader whose first language is not English, (and I fear for some whose mother tongue is English). The authors have achieved, in this collection, a wonderful blend of close reading of a small number of trials and the fascinating minutiae of the individual experience, contrasted with Scotland in a global setting.